Last week I breathed a sigh of relief. I managed to finish all the shopping for both of my kids and excitedly told people I AM DONE. I have yet to even START on gifts for my parents, my in laws, the grandparents….and its just so hard. What do you gift someone that has spent a life time gathering “stuff” and neither needs it, nor deep down, wants it. Memories. That is what. You gift memories. And with it being December 7th you may be asking yourself exactly what kind of memories can you gift and how hard will it be to do so this late in the game? 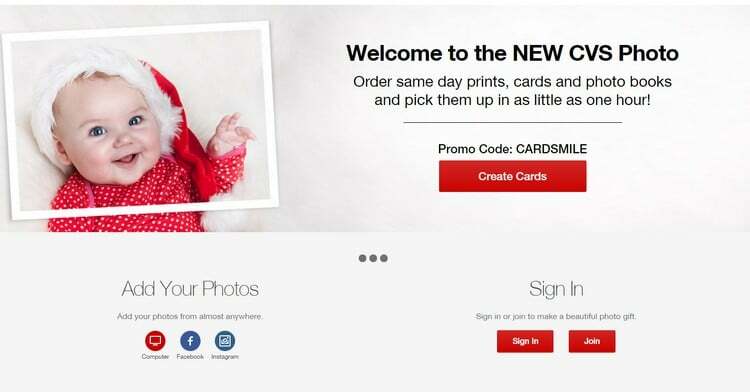 That is why I am so excited to share with you that you can head to your local CVS and print photos and products for SAME DAY IN STORE PICK UP, which makes it super easy to get these kinds of gifts still done for the season. Welcome to the new CVS Photo! We get SO used to viewing photos on our phones, text, and social media that we are all guilty of not printing them. Printing not only preserves the memory but provides so much more nostalgia when placed in cards, on DIY, in albums, books and varies projects around the house. Printing is better for mom, grandma, and even yourself as the continuous flow of social media can mean so much forgotten, yet amazing, memories you want to preserve. 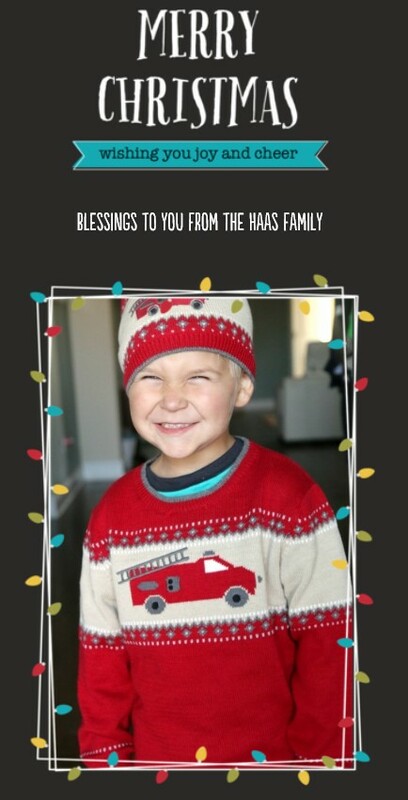 Holiday cards – SAME DAY PRINT! Have you forgotten to print your cards and think it’s too late? ITS NOT. Hundreds of templates and styles to share for a truly customized feel with your creation. Photo Books – Hands down any time I print a photo book, they get “stolen” by a family member and continue to be great gifts for the parents and grandparents. Even more than that, I love to make photo books that take photos from every month and make a “yearly” memory book. The kids LOVE reading about themselves and being reminded of their memories. I keep some of our photo books in the living room coffee table for easy grabbing. Canvas Prints – Not sure what kind of decor to put on the wall or in between the hallways? Canvas prints bring your photos and memories to life as well as sprucing up the house. Regular Prints – This is a dying art, but same day prints makes it easy to frame photos or simply put in albums for years to come – available in 4×6, 5×7 and 8×10. Aside from all of these easy ways to get photos from the screen to your hand, you can be assured that CVS photo makes it easy. They have an app where you can upload or you can use one of your social accounts to grab past pictures to print or share! Ever take a photo that you knew you wanted to print the moment you took it? Wait no more! Simply snap, print and pick up with the CVS Photo on the Go app! Download here and you can print from your phone, your CVS account or from Facebook! And right now, before I forget to tell you, you can get 30% off printing your cards with CVS! Same day AND a discount?? Yes, please! What else can you do with photos? Stay tuned this week as I bring you some other ways to bring your photos into your DIY projects around the house. I will update this post near the end of the week with a link to a fantastic new tutorial!